406-763-1083 Celebrating over 28 years of Gallatin River Adventures...! 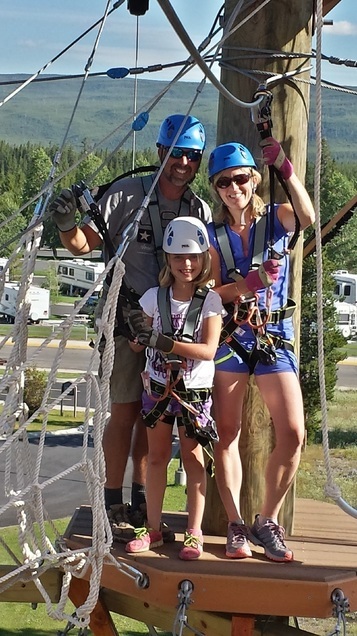 The Zipline Adventure Park features over a 1000' of ziplining thrills on 4 different, family oriented ziplines. $99 3 of 5 Day Adventure Pass - The best value is the 3 of 5 day pass which allows for unlimited use of the Park for 3 days and includes come and go privileges everyday, all day. A great option for families staying in West Yellowstone. 6 yrs. old an up for the Main Adventure Course and Ziplines. Kids 6-12 must have an adult over 18 or join a guided kids group, $15 per hour per child. Minimum weight 45 lbs. Maximum Weight 280 lbs. 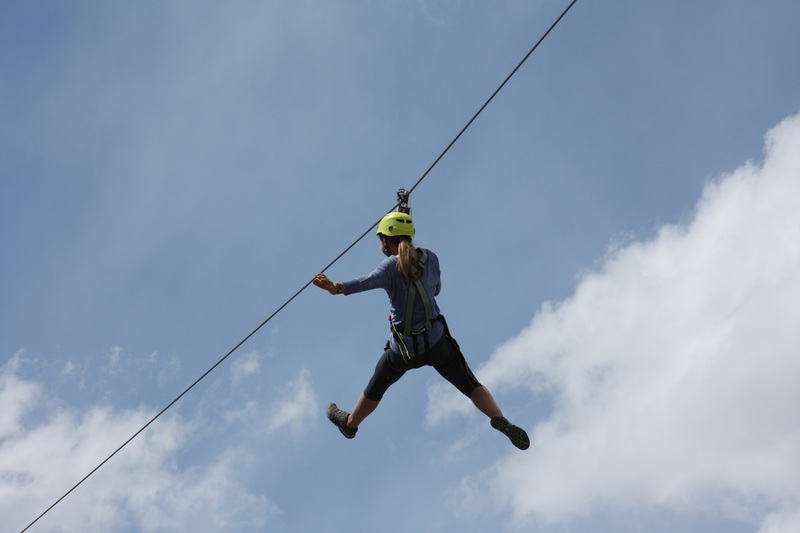 Save at the Zipline Park when you combine this adventure with a rafting trip. $99 3 of 5 day pass. Come and go throughout the day for any 3 out of 5 day period. Best value. $29 The Junior Ranger pass for kids 4-9 years old. An adult can accompany the kids. Ready for one of the fastest and longest zipline adventures in the West...? Look no further. If panoramic mountain views and flying through the air at 50 miles per hour sound fun, then this is your ticket to ride. After getting all geared up and meeting your always entertaining guides, this adventure begins with a 15 minute chairlift ride up the slopes of the country's largest ski resort. From here you will an embark on a high speed adventure over the treetops and canyons of the mountainous terrain. Keep your eyes open, moose and deer are never far away. Finally, don't forget to smile, professional photographers will be taking photos of you with the magnificent peaks in the background. Wear pants or long shorts, closed toe, secure footwear and bring a light jacket or sweatshirt. Minimum weight is 90lbs. Maximum weight is 220lbs. A bit tamer than the Adventure zip, the Nature Zip Tour lasts about 1.5 hours and features 3 ziplines. Your quite a bit closer to the ground and traveling slower so if you are nervous or really afraid of heights, this might be the tour for you. Minimum weight is 45lbs. Maximum weight is 275lbs.